Revisiting Past. As the name implies Dust From the Past contains Random stories, events, myths,Islamic events, testimonies etc from the past. Ancient and present writers, researchers, and historians agree that the present area of Kashir was once a huge lake where life came into existence after its water dried up. Latest researches carried out by the archeologists have proved the etymology of fairy tales about the existence of water and lake in ancient times which was known as satisar- meaning 'the lake of Goddess Sati', the consort of Lord Shiva. 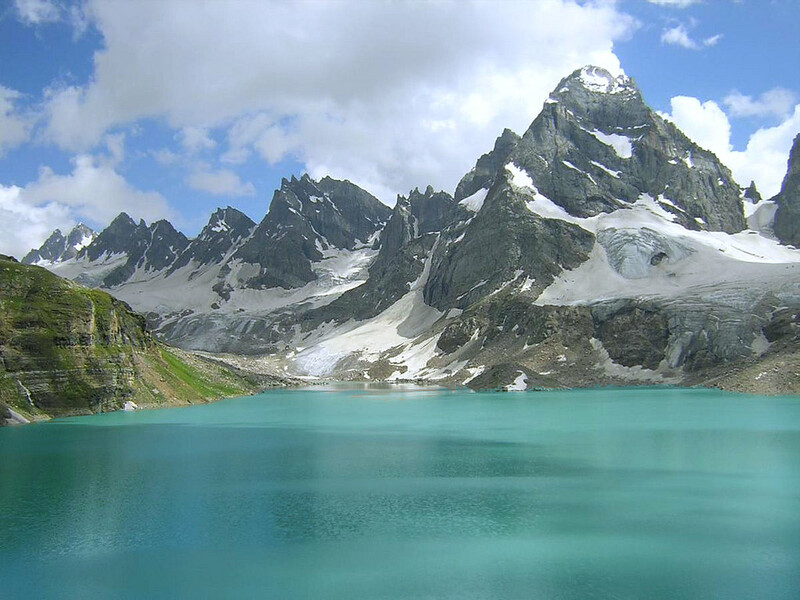 there are different etymologies regarding the transformation of lake of kashmir into a valley. According to Muslims, king of all the animals, birds, jinns/spirits, witches etc., a pious prophet of Allah Hazrat Suleman A.S on his famous floating throne, along with his people was traveling from nearby land where he saw a magnificent lake surrounded by the mountains covered with snow. From his wide knowledge base granted by Almighty, he could see there lies a land under the lake which has exclusive and rare seeds which could be used to cultivate this land with trees of fruits and flowers making this land heaven like full of beauty here and there only if the water of that lake dries up some way or other. Suleman A.S discussed about this possibility with his people mainly containing spirits, jinns etc. He expressed his wish that whoever evacuates the water of the lake in such a way that it wont harm the land underneath will be rewarded by any of his desires. it is been said that a jinn called Kashu was also present in the council. He came forward and said to Suleman that I am ready for this task but I have a request to make that I am in love with a fairy called Meer. As you just said that you will grant a wish to whoever does this task therefore it is my request that i may be granted to marry her upon completion of this task. Suleman A.S accepted his request and Kashu, jinn, split the mountain from Barah Mola/baramulla/varahmula, boring an opening in it for the water to flow out into the plains below. this river was known as vasasat in the past and as River Jehlum today. Since the lake was so wide spread that it would have taken long to drain off all the water, Kashu decided to take nap in the meanwhile. He slept, therefore, under the shady trees. After some time when he woke up he found that all the water had drained off but the water took those seeds with it in this process. Jinn got scared and recalled that his king, Suleman, had strictly directed him that seeds must not drain along with the water. Kashu got up abruptly and started to fill his hands full of seeds and throw them back in the valley. The seeds got spread everywhere in the valley. This is why even today there are many self grown flower and fruit trees in this valley. Jinn, after messing with the seeds, happily returned to the council. Suleman A.S acknowledged his request and announced Kashu and Meer's wedding in front of all the people present in the council. Afterwards that land got famous due to the wedding couple; kashu and meer which with the passage of time became Kashmir. Suleman A.S's reign longed from 964 BC till 924 B.C. From this it it can be assumed that the transformation of lake took place some time in between this time. The hindu myths are entirely different about this transformation. Kalhana, the author of Rajatarangini, wrote that valley of kashmir was once a huge lake where the wife of Shiv- Parvati, used to wander from the mountains of harlna mukh in north towards kansa nag lake in the south in her beautiful boat. Because of Parvati, this lake was know as a holy woman's lake/satisar. It is been said that there lived a demon called Jal Dev, illegal son of Jalodbhava (meaning "born of water"), who tortured and devoured the people, who lived near mountain slopes. Hearing the suffering of the people, Kashyap, a Saraswat Brahmin, came to the rescue of the people that lived there. But Jal Dev hid in the deep waters of the lake. On this event, Shiv (or according to some traditions Vishnu) with the help of his trishul split the mountains of Bara Mulla to help them. The water started to evacuate from the lake but jal dev took refuge under the deepest pits of the earth. The place is said to be nearby the present world's city of kashmir- Sri Nagar. When all the efforts to pull jal dev up went in vain, Parvati cast off a mountain over him to bury him alive. That mountain is called Hari Parbat (Hara Parbat in past). From so many years, people used to worship parvati on this mountain top. People started to go in that valley after the assurance of Jal dev's death. In the beginning, the weather was so cold that it was nearly impossible to survive there. people visited valley of kashmir only in the summer season and slowly started to live there and formed communities over there. These Hindu mythological tales are thousand of years old. If we acknowledge the story of Parvati's trips in her boat, then this could be 8000 B.C old story but Hindu history first pointed out about kashmir right before the battle of maha bharat. where kashmir is described as a small valley surrounded by high mountains in North of Bharat way to which is very dangerous. They have also named the king of the valley. On the contrary, the fossil fuels found in kashmir to date are only 3000 B.C old. According to some of the scholars, the name "Kashmir," in Sanskrit, implies land desiccated from water: "ka" (the water) and shimeera (to desiccate). Since the water of satisar was desiccated which is why it is known as kashmir. No matter what, all the researchers and historians agree on one point that in ancient times this area was covered with water which was some way or other for the purpose of populating this land. As per some other traditions, from very ancient times, kashmir was a solitary and lonesome forest surrounded by the dangerous and insurmountable mountain tops with the killing weather where even the birds had no courage to fly over. People started to visit this land after when the weather started to set off. Shepherds from nearby areas of Bhambar, Rajwari, Kaghan etc. started to take their animals and cattle during the summer season. These people were highly uncivilized people who happened to be very uncultured and uneducated. Another story found in the literature is about a man named Chandra Dev. He was so old and feeble that his body gave up to function properly. He took some food and other necessities and went to live in a small cave for his survival after when he found it difficult to go back to his land with his other fellows. At the start of winter season, dangerous looking devils started to appear on that land. These men started to irritate that old chap. He ran towards Chashma/stream called Nila Nag to save his life. The ruler/king of nila nag or neelam nag was sitting in his council. Chandra begged him to save him from those devils. Nila nag offered him his holy book called nilmat puran and ordered him to take it with him this book will rescue you from those devils. He did what he was told and to his surprise he was no more bothered. Next year when his old friends visited that land again they were astonished to find chandra alive. Chandra explained all that happened to him and invited them to start following nilmat puran. The master among those people, Darya Dev, experimentally left behind some other fellows just to check whether this nilmat puran works or not. It did worked this time too and seeing them alive, Darya decided to live in that valley and started community over there. He was the first ruler of kashmir. His family reigned over kashmir for hundred of years which was then ruined by the flood of Noah. During the flood, a huge avalanche fell near the mountain of Bara Mola stoping all the water in the valley, resulting in the drowning of all people and turned the valley into pond. As per the stories, it took over 300 years to dry up the water of satisar after the mountain of bara mola was split. In 1282 B.C, according to the history of kashmir, after Narendra (last obedient ruler of Godhar family) took oath as a ruler of kashmir (which lasted for 2 weeks only), Suleman A.S visited kashmir and rested on the mountain tops of Shankra Aharg or kohjeet on his floating throne. All the people started to pay visits to him some regarded him as an angel while others thought he is God. Raja Narendra also went there to see him. he was so impressed and over whelmed by his soft and polite attitude that he decided to leave everything and go with Suleman A.S. The people of kashmir requested Suleman A.S to recover the land drowned under water near sandmat nagar thousand of years ago. Suleman ordered his people which mainly contained jinns to remove the water from that area. Jinns split some of the land near khada bar which deepened the river. This, except the area where present lake dolar is located, cleared the entire land and gave an opportunity to the people of kashmir to cultivate that land for living.